Last week I posted a notice about Tom Wright’s forthcoming response to John Piper on the issue of justification. The work is titled Justification: God’s Plan and Paul’s Vision. The book will be available in Great Britain from SPCK on February 1, and in the United States from Intervarsity in June. Intervarsity has already posted a webpage about the book and has included a list of interesting endorsements. I find three things that are striking about this list. First, I think it’s noteworthy that many (though certainly not all) of the names on this list hail from the evangelical left or the emerging church. In terms of the latter, I’m thinking of Brian McLaren, Rob Bell, and Scot McKnight. I take this as one more indication that significant portions of the emerging movement are shying away from what evangelicals have traditionally held regarding justification. Second, in the endorsements I detect an underlying current of, “If only those traditionalists understood Wright correctly . . .” or “If only those reformed types would read their Bibles as closely as Wright.” I don’t think this is a good way to set the table for debate. It patronizes those who disagree with Wright as if they cannot or do not read. That may be a helpful way to explain away critics, but it’s not a good way to engage an opponent in theological debate. It tends to shutting down conversation rather than opening it up. I don’t agree with Wright’s perspective on justification, but I would never say that he doesn’t read the Bible closely. He does read the Bible closely, and so do his detractors. I think it would help if both sides could acknowledge that much. Once again, I don’t think this is a helpful way to engage in theological debate. My hunch is that these kinds of remarks are more likely to evoke name-calling and ad hominem responses than they are thoughtful dialogue on a crucial biblical doctrine. In any case, I’m looking forward to Wright’s book. The mounting critiques of Wright’s position (e.g., Piper, Seifrid) deserve a response, and I for one will be waiting with bated breath to read it. Thanks for putting this up. Yes, one half is left, but the other half is fairly conservative (i.e. Bird, Bock, Marshall). A split like that ain’t too bad. On lacking an irenic candor, some of the endorsements of Piper’s book (esp. Dan Wallace) did not strike me as irenic towards Wright. McKnight’s comments ,coming as they do from a committed Arminian (who has an axe to grind against Reformed theology) ,is not all that surprising. I echo Bird and Johnson. I think we must admit that the one who has taken the most criticism for holding a view (that is not unorthodox) is Wright, not Piper. I think it might even be healthy for someone to critique Piper’s views. It is academia, is it not? I have been influenced by both men and have been taught through their books. It is good to see the two sides (?) holding a discussion. Denny and others take heed. In your quickness to react to what you call ‘name calling,’ don’t miss the opportunity to be circumspect. I have read/heard much more acerbic rhetoric from the likes of McArthur, Mohler, Ware, and Burk. The statement above is challenging, but rings true. It is exactly what you guys throw at everyone else ALL THE TIME. Well, what’s good for the goose is good for the gander. Thoughtful discussion on this issue could lead to the most significant correction of Reformation excess we’ve yet seen. And I am curious in reference to GLW’s comment about Scot McKnight… Scot are you reading? Do you call yourself an Arminian? Piper’s book and i look forward to reading Wright’s response. Yes, some of the endorsers are merely preaching to the choir, but the key endorsement is certainly that of Richard Hays. 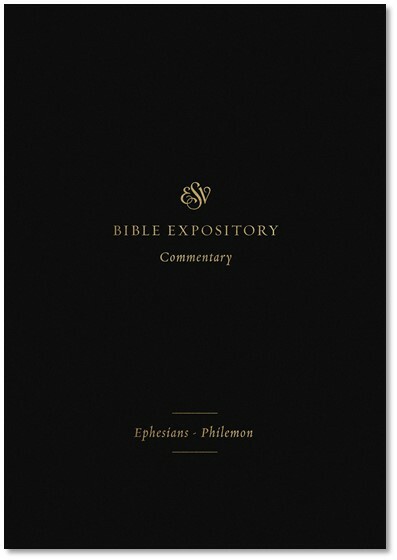 He makes the invitation to put aside mistrust and to put on mutual respect in trying to understand what Paul says. I would hope that we are all confident and secure enough in what we believe that this conversation can take place in a manner that reflects what we believe. Evangelicals being ugly to one another does not make for great witness. 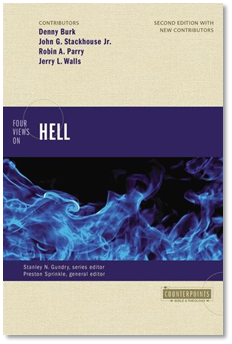 It is interesting that Inter-Varsity Press (UK) published John Piper’s book, but Intervarsity Press (USA) did not (Crossway did). The opposite with N.T. 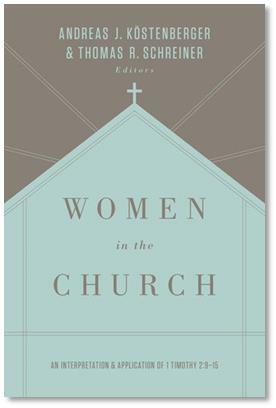 Wright’s book – published in the USA by IVP, but SPCK in the UK. SPCK seems to publish most of Wright’s books. They may have some sort of contract with him. I take issue with that, just as I did on Justin Taylor’s blog post. There, you quoted me out of context, leaving out the all-important ‘in some respects.’ My comment was then followed by a statement that not all (including me is what would naturally be implied) would not agree with Piper on all his points. I think you’re seeing inflammatory language where it doesn’t exist. And I still stand by comment made in the endorsement. BTW, you might want to know that the Crossway editors, after sending me the galleys of Piper’s book, didn’t think that I would endorse the book because I had been blogging favorably about Roman Catholicism. But your comment about my endorsement implicitly is claiming that because I lumped Wright in with RCs to some degree, I must be against his views. I think you’re reading between the lines things that are not there. Sola Fide is ‘Reformation excess’? McKnight’s ‘Arminianism’ is very transparent in his writings. I was not name-calling. McKnight is not Reformed(and I am using the word strictly in reference to the Reformed confessions like The Three Forms of Unity and the Westminster Confession )and given that definition of the label, neither is Wright. I think one needs to see the back cover as advertising. And what sells is a claim to something new that was missed before. We all need to be humble in our claims of understanding, but our flesh wants to proclaim our correctness. I didn’t say you were name calling. And yes, FAITH ALONE, understood and practiced in the trajectory of the radical reformation is excess. The term itself is in direct contradiction to the scripture. Finally… it continues to amuse me that you guys seem to think that everyone must identify with either Calvin or Arminius. I am aware of McKnight’s views related on TULIP. They would be in agreement with Arminius and with mine. So, in that sense, sure. But, you guys make it sound like Jesus founded the Church in the 16th century, and then we all chose whether to follow Calvin or Arminius on this issue. With all due respect but the Reformation’s doctrine of Sola fide is NOT remotely similar to that of the radical reformation. Likewise ‘TULIP’, as helpful as it is in addressing the differences between Calvinists and Arminians does NOT go far enough in defining what it means to be ‘Reformed’. I would highly recommend Scott Clark’s recent book ‘Recovering The Reformed Confessions’. Denny has properly alluded to the direction that those who identify themselves as part of the so-called ‘Evangelical left’ appear to be departing in very significant ways from the Reformation. First time commenter Mr. Burk. I haven’t read any of NT Wright or Piper’s critique. What order should I start reading this discussion/debate? 2. Wright’s book What St. Paul Really Said. Some might tell you to read Wright’s Paul: In Fresh Perspective, but I frankly don’t find much in that book that wasn’t in the first one. 3. Piper’s The Future of Justification: A Response to N. T. Wright. The Reformation was anything but monolithic. My contention is that faith alone (and scripture alone, for that matter) make for good slogans but ultimately questionable doctrine if taken literally and then run their full course. I believe that a person is justified by works and not faith alone. Is it OK for me to say that? I hope so, since that is pretty much a direct quote from James 2. Well, simply saying “faith alone” without explanation, is something I am not any more comfortable with than you might be quoting James 2: 24 all by itself. I’d be uncomfortable because it would sound like I was saying something in direct contradiction to inspired scripture. Nevertheless, I could affirm a type of sola fide if you knew what I meant by it… if I could qualify it. My point is that it is not the scripture (James) that needs to be explained away and proven valid. It is our slogan (faith alone) that we need to explain and validate. And that is, for the most part, what is going on here. Let us always be willing to examine and re-examine our ideas, traditions and constructs against the rule of faith. And let us never cast aside a thoughtful re-examination of a tradition (like faith alone) in light of scripture on the basis that it is a violation of a body of tradition (like the Reformed Confessions). Semper reformata does not preclude us from reshaping back towards something we have lost. Reformation is not always a moving forward in the strictest sense. Candidly, you are not a ‘Evangelical’. Paul in Fresh Perspective is a much better book. What St. Paul Really Said is filled with overstatements. Wright’s more careful in Paul in Fresh Perspective. So how do you understand James 2:24? I would refer you to Calvin’s commentary on Romans 3:27-28 as well as his remarks on James 2:24. Well, I think I our little dialogue has put quite an exclamation point on Scot McKnight’s quote. very high opinion of him. Russ, Scripture MUST affirm all other Scripture. So it’s not a matter of James matching our “slogans” but a matter of it agreeing with other Biblical texts. And the Bible CLEARLY affirms faith ALONE. It is very weak exegesis to claim that James contradicts this. But, as GLW already rightly stated, you are hardly an “evangelical” if you claim that our own works can save us. I couldn’t care less for tradition or my own personal beliefs or biases… if the Bible says it, then it is so. Game, set, match in my book. By the way… I would not say (nor is James saying) that our own works can save us. That would be just as much of an over-simplification as ‘faith alone.’ Both statements are misleading. Faith alone is not misleading at all, if you consider that fact that “justified” means two different things in CONTEXT. Speaking of a friendly discussion. Let us all go before God, the text, and others with humility and charity. You could say “justification” in James has a different meaning than in Paul, or it could be argued that this justification takes place at a different time. This is the approach of Moo, Welsey, and Wright to this text. James is speaking of an end-times justification and Paul is speaking of preliminary verdict which anticipates saving faith generating good works for the last day. Thanks for the book suggestions. I’ll get reading ASAP. Thanks again.